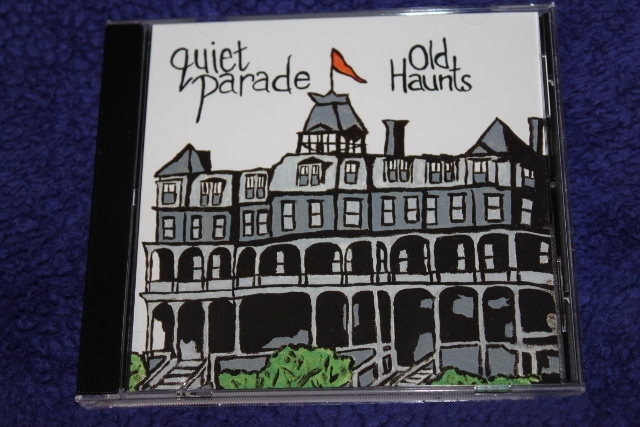 Maritime Vinyl: Quiet Parade - Old Haunts - review! 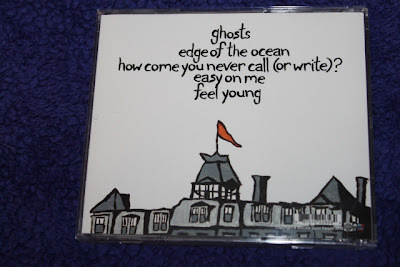 These lyrics are from Edge Of The Ocean, one of the five great songs by Yarmouth’s Quiet Parade’s brand new EP called Old Haunts. They sum up the mood of this EP nicely, songs about struggling small towns, saying goodbye to friends, moving to bigger and better places and slowly losing touch with these friends. It’s not hard for many of us East Coasters to relate. Sure, it may be a sad topic for some, but somehow they give it a positive twist. Old Haunts began when Trevor Murphy (formerly of Sleepless Night and The Establishment) looked to record a solo album. He started jamming with his band Quiet Parade and before he knew it his solo effort turned into another great band effort. Quiet Parade consists of Trevor singing lead vocals and playing guitar; Jay Methot on guitar, Anthony Phillips on bass, Josh Pothier on drums and Julia Weir on piano. These five are not just good, they excel at their instruments. The talent is evident on each song and it’s something fellow musicians can appreciate. Nothing is done the easy way, but instead all members continuously take chances with their instruments and it pays off. Sure it sounds amazing, but it’s the originality than excites me. Now of course Quiet Parade is not new to the scene, having released a handful of singles, as well as two prior EP’s and two prior albums. 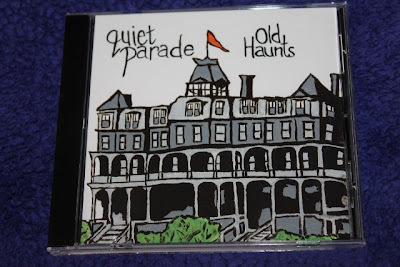 The last three years Quiet Parade was voted the Best Band To Listen To Quietly by The Coasts Best Of Music Readers Poll, so I went into this with the expectation of light elevator music or jazz. To my surprise, the album began with a rocking song called Ghosts that was full of energy. Sure the songs may have slowed down a bit throughout the album, but I would definitely not call it quiet. Five strong songs, more than one would expect in a full length album. This album is produced by Daniel Ledwell, whose recent work included the ECMA 2013 pop recording of the year album The Beautiful Wild by Jenn Grant (Daniel is also the keyboard player for In Flight Safety). Daniel is quickly becoming my producer of choice for these East Coast indie bands by making them all sound amazing and really setting the bar for sound on these smaller releases. Jenn Grant herself makes a few appearances in this album, singing backup on Ghosts and How Come You Never Call. A ton of action is going on with this short five song EP. 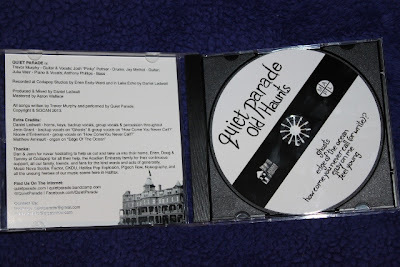 Be sure to check out Quiet Parades bandcamp page at http://quietparade.bandcamp.com/. They have loads of free downloads, plus their past few albums and EP’s available for purchase (name your price). Also be sure to pick up a copy of this great new EP on CD or digital for only $5. The only thing missing by Quiet Parade so far is vinyl releases, and here’s hoping they grant us this in the near future!